Madison is decorating the tree with paper ornaments. 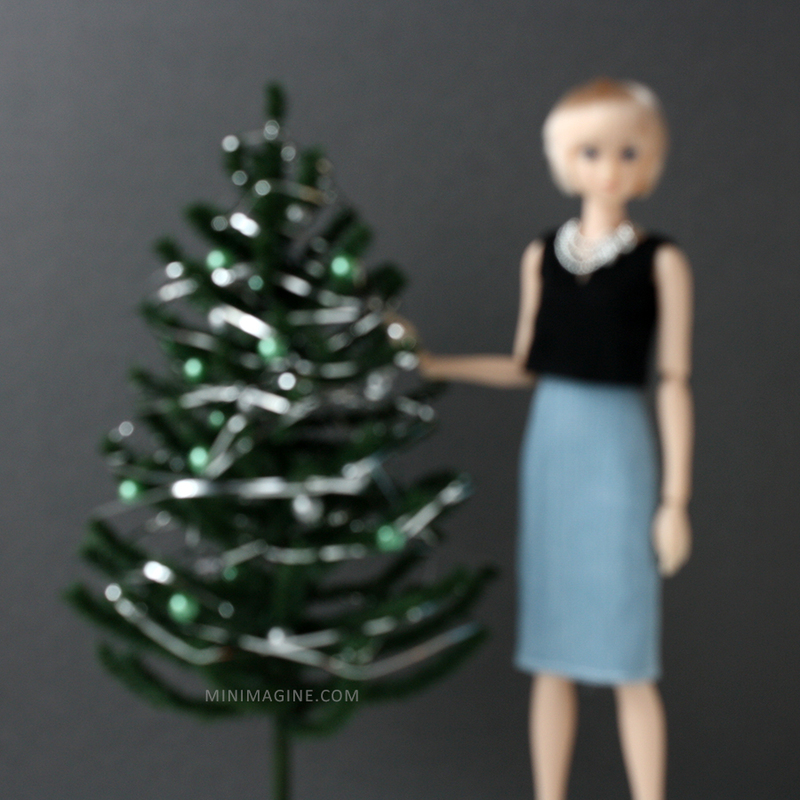 Do green ornaments look good on the green tree? I'm not sure. Zoe has her own idea for the decoration of the tree. More about these "ornaments" here. All very nice trees. I rather like the one with the green ornaments and silver streamers! Thank you. I'm glad that you like these trees.